Why Your 1 carat Natural Unheated Ruby May be Worth More Than all Your Diamond Jewelry Put Together and Why it Makes Sense to Invest in Rubies! Comments Featured today is a fantastic natural and unheated ruby from Mozambique set in 22-karat gold as a Sun talisman. The Mozambique ruby of exactly 1 carat has a deep vibrant reddish pink color and great clarity. 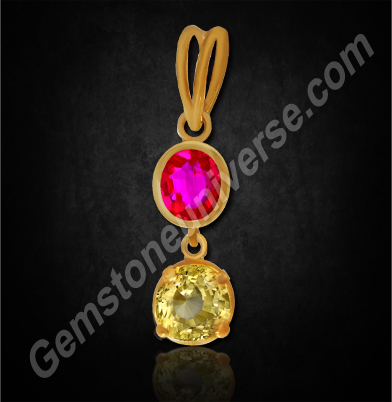 The manik gem is robust, treatment free and pulsating with planetary powers of the Sun/ Surya. Scarcity of natural and unheated ruby in the market is a by-product of the seizing of mining operations in Mogok by the military junta in Burma and the ruby supply went quite dry till the Mong Hsu ruby mines were found. However, the quality of ruby here were nowhere near the pigeon blood red rubies of Mogok. So most of this ruby was treated to improve the appearance and sale value. Most of the Burmese Mong Hsu rubies in the market should be assumed to be treated unless stated otherwise. Later natural unheated ruby was found in Africa in significant yields in the mines of Tanzania as well as Mozambique – the Winza mine ruby of Tanzania and the Niassa ruby from Mozambique. The advantage that these two sources have is in terms of clarity and color. The counterparts from other mines in the same countries produce inferior grade marble type rubies. A practised eye can discriminate on basis of sources, the Niassa is fairly easy to distunguish from Winza as blue color zoning is quite common in Winza ruby is absent here and gives a better reddish pink color. 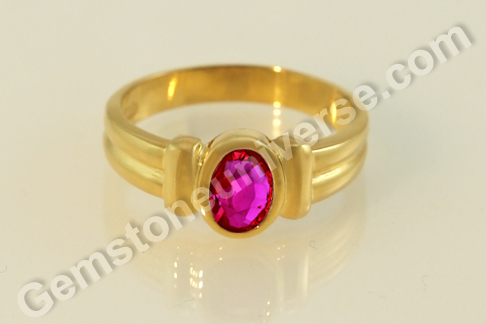 A good natural unheated ruby can beat any other gem in terms of value. The record price paid for a ruby was $3.6 million, at Christie’s in St. Moritz in 2006 – An 8.62 carat unheated cushion cut Burmese ruby set in a Bvlgari ring. 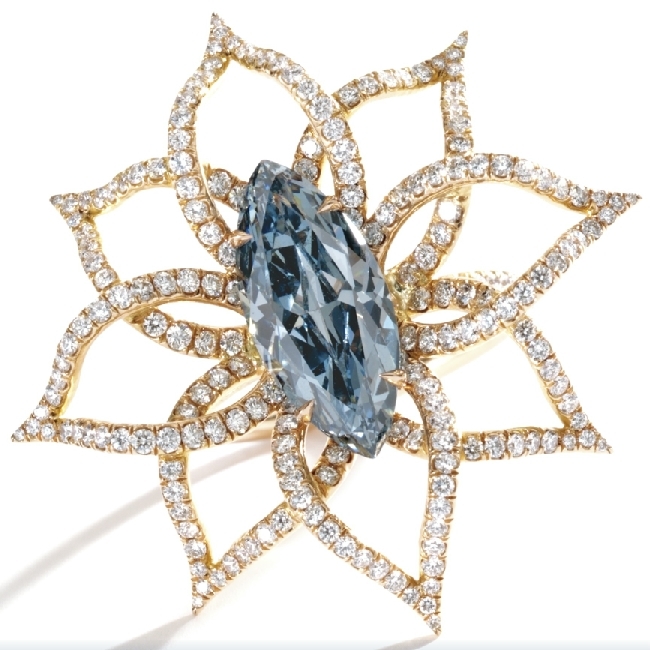 The price of $425,000 per carat set a new record, which was beaten only recently by a blue diamond ring in April 2012 at Sotheby’s New York Magnificent Jewel Auction. The fancy diamond sold for $2.4 million, or $687,712 per carat. The 3.18 ct. VS1 marquise stole the thunder. To read about rubies as an investment option and their true value please click here for an article on the same in The Economist. How Long Did it Take For Your Precious Emerald to get Formed?– An Entire Geological Era! Comments Gemstones are truly a miracle of nature. It is only when the love of these precious minerals goes beyond the simple desire of owning fine jewelry or gem that the real world of spectacular creation opens up. 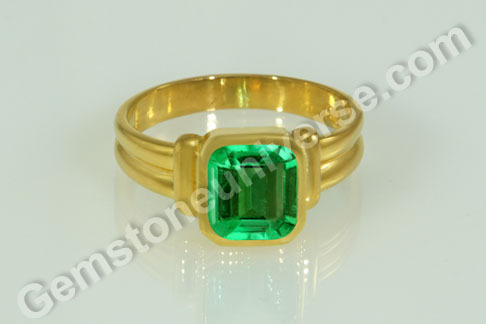 Featured today is a natural Colombian emerald of 1.81 carats set in 22 karat gold as a Mercury talisman ring. The classic emerald cut Colombian emerald is fully natural and has a fine early summer grass green color. What really makes this gem stand apart is the fact that not only is there excellent clarity, despite being an emerald, the gem also has a vitreous lustre, giving it that charismatic appeal! 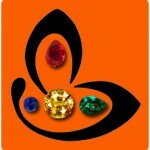 For planetary gem therapy, the gem must be jyotish quality. 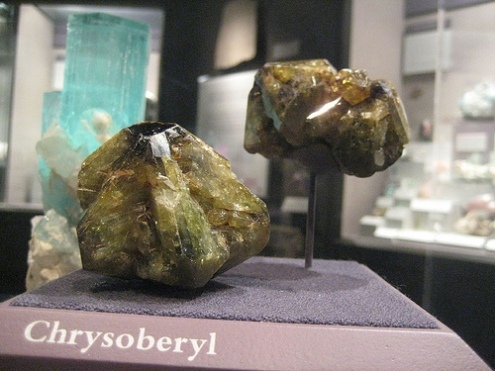 For a real appreciation of the jyotish gem that you are holding in your hand and especially more so if it’s an emerald let’s get a little more specific – emerald is a gemstone of the beryl group – Beryllium Aluminium Silicate Al2Be3 (SiO3)6, to be precise. For an emerald to form, the temperature has to be in the range of 400-500 degrees centigrade and the pressure has to be about 1-3 kilobars per square inch! In other words about 7.5 to 21.75 tons of pressure per square inch! The presence of trace element chromium gives it the rich green color. 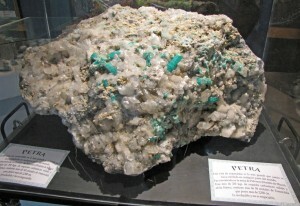 (in case of the Brazilian emeralds, the color causing trace element is vanadium). The mineral is formed within a fluid rich silicate melt that can remain liquid for a very long therefore the cooling time is very long – almost 500 million years! You may take your time to absorb that information. And we do hope that when you look at the emerald perched on your fingers the next time, you will think about what a treasure, whose life spans an era of geological time, you own! Natural emerald/ panna is the gemstone of planet Mercury/ Budh and is used in a talisman to harness the energies of this planet. Comments Planetary gemology and Vedic astrology in combination hold the key to path of progress. This is especially so when the individual has a typical obstructing planetary positions in the horoscope. 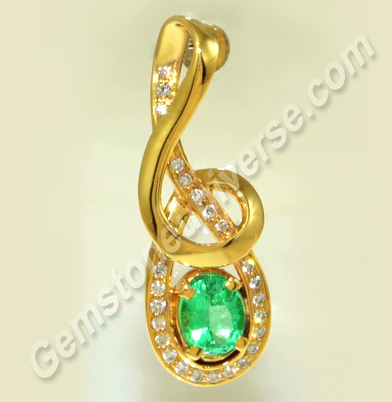 Gemstones are in fact, condensed blessings that go a long way in working miracles in life of the wearer. Featured today is a natural and organic white coral of 3.94 carat set in sterling silver as a Mars talisman ring. The Natural White coral from Italy has a good jyotish weight and is fully natural and treatment free. The surface of the oval shaped cabochon gem is smooth and blemish free. White coral is an opaque gem of organic origin. Natural White coral or Safed munga / sada prabal is also the gemstone of Mars or Mangal. However, this gemstone is prescribed specifically as a remedy for debilitated Mars in the horoscope, a planetary position that can put many roadblocks, mental as well as opportunity related for the individual in question. Please click here to read more about deeply incapacitating planetary positions in a horoscope. Coral is actually the skeletal remain of coral polyps that precipitate calcium from seawater, characteristically in warm, shallow waters. 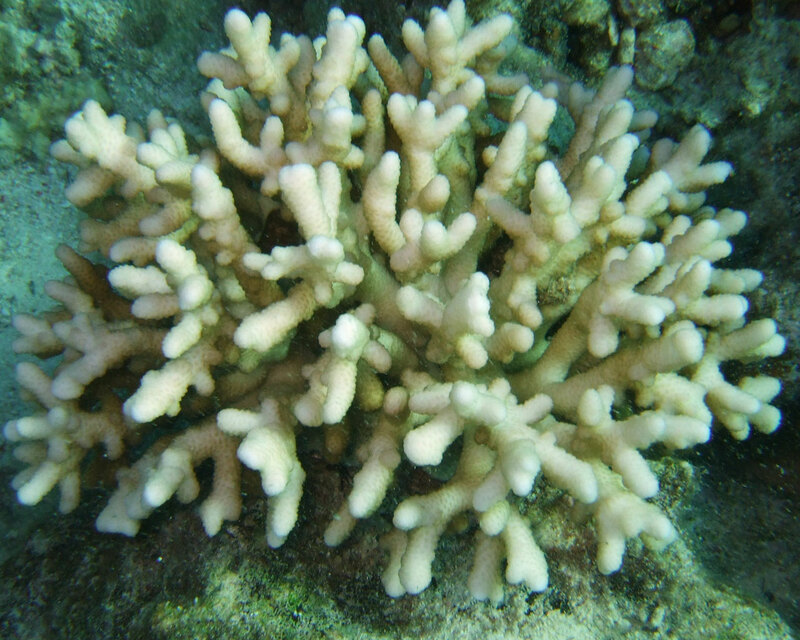 Upon securing itself to the rocky seafloor, coral grows upward branching out in all direction. Its composition is mainly Calcium carbonate and it has a hardness of 3.5 on the Mohs Scale, implying that it can easily be scratched. Coral is also quite porous so the sensitivity and possibility of damage by perfumes, sprays and most cosmetic products is a given. To clean it, one must use a soft cloth and nothing but mild soapy water. 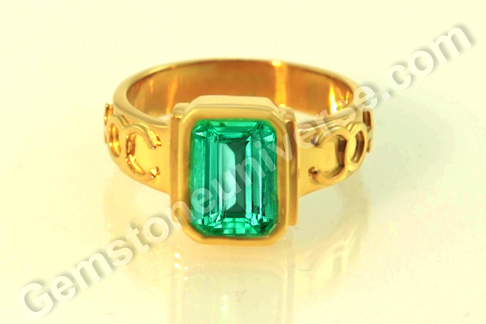 Comments Featured today is a fine natural Colombian emerald of 2.43 carats set in a 22 karat gold Mercury talisman ring. The symbol of Mercury stands in relief on the shanks of the ring. The Colombian emerald is fully natural and treatment free. The gem has a classic emerald cut and an enchanting early summer grass green color. Emerald in the ancient Western lore and tradition (based on the Foundation stones – those in the Breastplate of the High Priest of the Israelites) is the birthstone of the month of June (the modern day birthstone list however categorises emerald as the birthstone for month of may). We would stick with the correctness of the former as emerald is also associated with the guardian angel Muriel who the angel of emotions ruling over the sign of Cancer. The angels’s name translates to meaning ‘God’s Perfume’. It is Muriel who heightens intuitiveness and aids an individual’s getting in touch with one’s deepest feelings and thereby acquiring a true understanding of oneself. 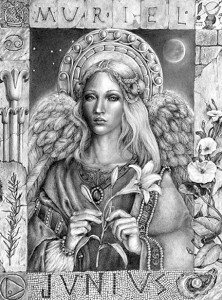 Muriel is also the angel of plants and animal life on earth. At the initial level, it could be more about emotional well being and garnering a sense of balance too. It is only when the communication (which is the domain of Mercury) with the universal energy and openness without fear is learnt, that living life expansively and richly becomes possible. Old, hurtful emotions are released to heal self. Newness is embraced. Natural emerald/ panna is the gemstone of planet Mercury/ Budh and is used in a talisman to harness energies of this planet that governs intellect speech and commerce among other things. Get set on the road to your destiny. Comments One of the most intriguing gemstones is the Blue Sapphire. Enchanting beauty, strong transformative power of Saturn and aura of mystery that precedes it, make one appealing package. Featured today is a spectacular natural Ceylon Blue Sapphire of 3.69 carats set in sterling silver as a Saturn talisman ring. The oval cut gem has an immense allure – whether it is because of the beautiful faceting or because of the shimmering electric sky blue color with violet overtones. This gem is also known as the indraneelam. The blue sapphire from the gem mines of Sri Lanka has a good jyotish weight, is fully natural and has excellent clarity. Blue sapphire or Neelam gemstone is the gem of Lord Saturn/ Shanidev and is used in a talisman to harness its saatvik energies. The gems featured today belongs to the lot/ gem parcel Naabhkanti 2012. In a market that is dominated by synthetics, diffused, heated, or treated sapphires, finding un heated jyotish quality sapphires is an uphill task. Such gems command a premium and are often sought by gem collectors. The most important thing to remember here is that it should be a jyotish quality gemstone. Click here to know what is jyotish quality gemstone. Gemstoneuniverse gives you the advantage and offers genuine jyotish gems so that you can implement planetary gem therapy that will beget you tangible results and the gem begets you real value for your money. Comments Come springtime, the sprouting forth of new life is the most welcome sight. Tender new leaves, come out in rich colors symbolizing every bit of hope and new life. Featured today is a fantastic natural imperial golden yellow topaz of 3.63 carats set in 18-karat gold as a Jupiter talisman. 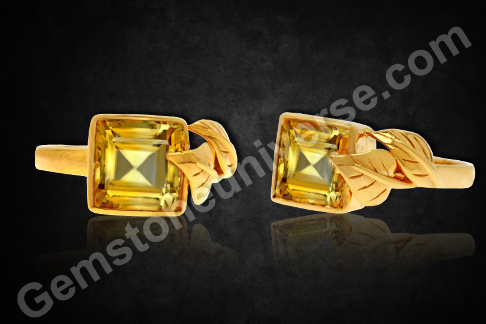 The princess cut imperial golden yellow topaz from brazil is fully natural and treatment free. The yellow topaz has the characteristic sherry color and superb clarity. The Imperial topaz ring has two gold leaves starting at the shank and coming up to the gem table, signifying new life, perpetual growth and progress. Yet another example of how beautiful as well as powerful your talisman can be! In Vedic astrology, Imperial golden yellow topaz is a substitute gem for natural yellow sapphire or pukhraj and is used in a talisman to harness the energies of Jupiter / Guru/ Brihaspati. 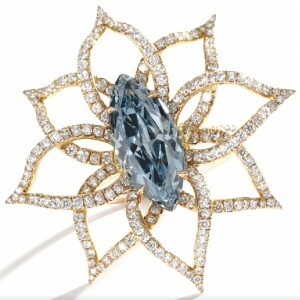 The name topaz is believed to have been derived from the Island name of Topazios. However, there is also an alternative view that suggests that the name has been derived from the Sanskrit word ‘tapas’ which means fiery heat generated by carrying out spiritual austerities and this rather resonates with the appearance of the golden topaz. The metaphysical properties of Imperial topaz are many and chief among them are encouraging creativity and confidence, spiritual progress by aligning your innermost desires with what is actually good for you, fostering peace in a stormy mind, increased personal charm, aiding metabolism. Amazingly it acts as a draw to working with other minerals too! The Imperial Topaz is the gemstone that is associated with the sacral chakra and solar plexus chakra. Note: Thank You Dear Patron, for your gracious testimonial. Comments There is every possibility that the dormant potential powers within you, come up and shine forth when you implement the planetary gem therapy. Especially so, if the planets involved are the two heavyweights of the zodiac. Featured today is a two-gem pendant – having a natural unheated treatment free Ruby from Mozambique and a natural unheated Ceylon Yellow sapphire set in 22 karat gold as a pendant. The oval cut Mozambique ruby of 1.10 has a deep vibrant reddish pink color and excellent clarity. The cushion cut natural Ceylon Yellow sapphire of 2.26 carats is again a premium gem with golden canary yellow color, excellent clarity and electric lustre. 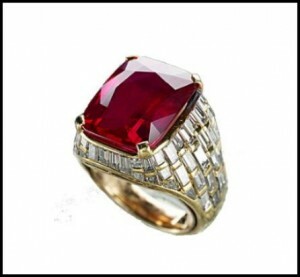 Natural ruby/ manik is the gemstone of planet Sun or Surya. Natural yellow sapphire/ pukhraj is the gemstone of Jupiter/ Brihaspati/ Guru and is used to harness its saatvik energies. In Vedic Astrology, Sun is the king of the Zodiac, the ruler, the luminary, the significator of self, soul / the atman. Jupiter in turn is the ‘devguru’ the mentor of the Gods, chief priest, the bestower of wisdom and good fortune. One of the names of Jupiter is ‘Jeeva’ or ‘Jiva’ meaning consciousness. Therefore, if Sun is the atman then Jupiter is the Jiva – the soul and its consciousness! In other words, the king and his chief advisor come together and work together to give you the best advantages. 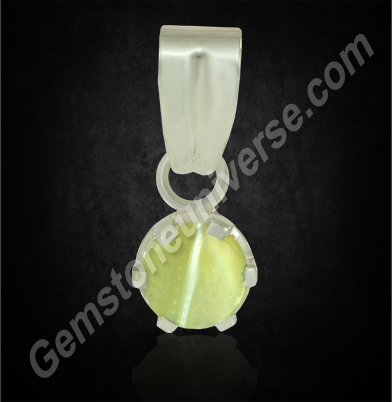 Featured today is a natural chrysoberyl cat’s eye of 3.79 carats. The oval cut cabochon cat’s eye gemstone from Brazil has a nice greenish yellow color, sharp chatoyancy and translucence – the hallmarks of a good cat’s eye. 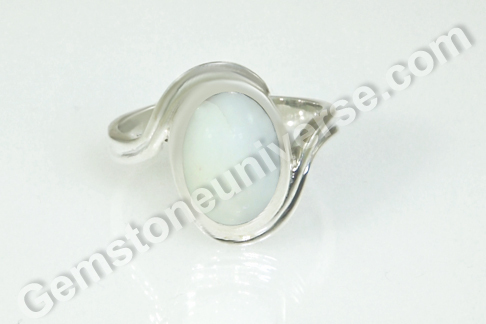 The gemstone has been set in sterling silver as a cat’s eye Ketu Talisman. Most of the Cat’s eye gem traded however is found in the placer deposits also – gravely river basins where it finds its way because of its heaviness. The heavier minerals after getting freed from their matrix upon weathering, get concentrated at the bottom of stream, beach, and gravels. The earliest and simpler mining and finding of gems started with scouring through such deposits. Cat’s eye also known as Vaidurya/ lehsunia/ Bidalaksh is the gem of the South Node of the Moon or Ketu. The phenomenal gemstone is a fast acting gem and is used in a talisman to harness saatvik energies of Ketu, restore semblance, focus and direction in the life of the wearer. Take a look at this beautiful Mercury pendant that has been crafted into a design that resembles a musical note in 18 carat gold. The 2.04-carat natural Colombian emerald is absolutely free from treatment and has a rich summer grass green color. The emerald is extraordinary in its clarity and lustre. The emerald is surrounded by flawless natural diamonds that weigh a total of 39.2 cents. Natural emerald or panna is the gemstone of Mercury/ Budh and is used to harness his saatvik energies. Colombian emeralds are known for their appealing color as well as a clearer and lustrous appearance vis-à-vis Zambian or Brazillian emeralds. 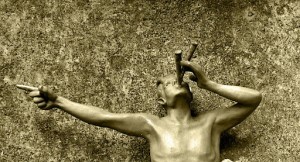 Mercury is known as Hermes in Greek mythology. Incidentally he is also credited with invention of the flute, pan-pipes and the lyre; therefore his gem sitting in a musical note design is only befitting. It is a matter of pride for us to be able to work these marvels of nature, to experience and witness their beauty and power day in and day out. And when we are able to craft impressive talismans and delight the patrons it makes our day. We invite you to experience the Gemstoneuniverse advantage. Comments How interesting would it get for you to be told that the first blue sapphire was perhaps worn by the immortal Titan Prometheus? Well, interesting and intriguing it is for most mythological details fall in place! Before we explore the Prometheus connection, have a look at the amazing natural unheated Ceylon blue sapphire featured today. An oval cut gem of 3.12 carats with fascinating silky cornflower blue color set in sterling silver as a Saturn talisman ring. 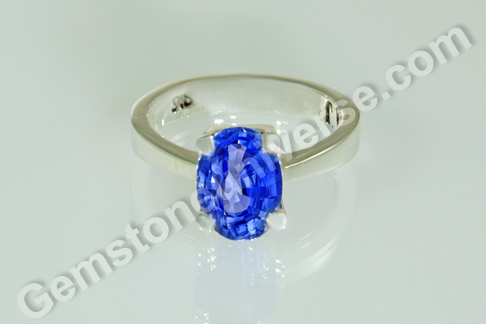 The gemstone has excellent clarity and electric lustre. Going back to Prometheus, he is regarded to be the first one to wear a blue sapphire – Prometheus (his name literally translates to one with foresight – he was able to predict future) in Greek mythology is known as the creator of human beings/ mortals. When he saw the mortals unable to deal with vagaries of nature, he asked the gods to lend them fire; a request that was turned down immediately. 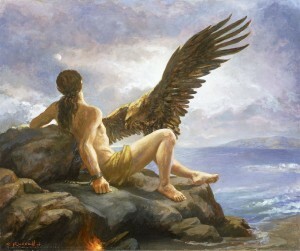 Prometheus then decided and stole fire from the gods and gave it to the mortals. Zeus, upon watching the blazing fire pits of mortals, decided to give exemplary punishment to immortal Prometheus. 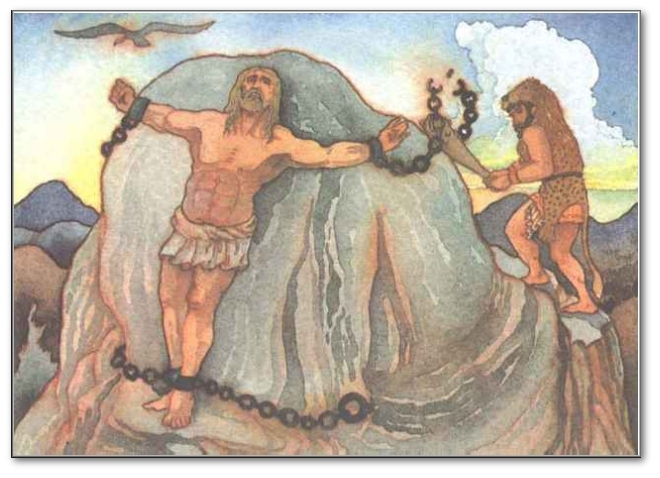 He had him chained to a rock and ordered a giant eagle (symbol of Zeus) to eat away at his liver. The torment would continue day after day for eons as Prometheus’ liver would regenerate each night! A twist in the tale led to Hercules rescuing Prometheus. His chain was severed from the rock but a link remained around his finger and attached to that link was a piece of rock – the alleged first blue sapphire! Zeus agreed to pardon and release him, upon the condition that Prometheus would wear that link forever!